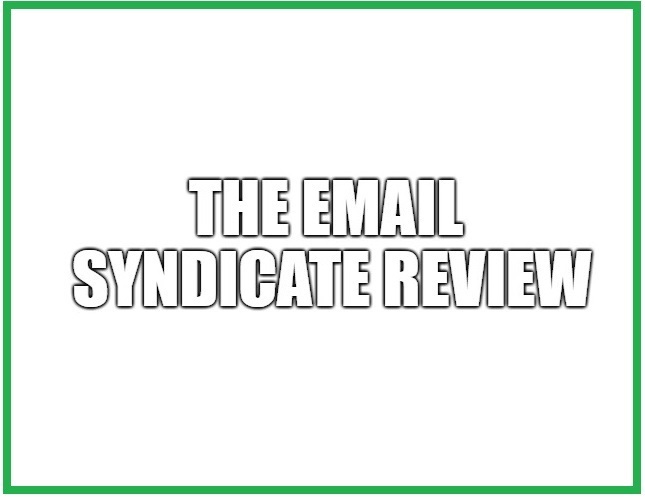 →The Email Syndicate Review: Learn The Truth If It Is A Scam! 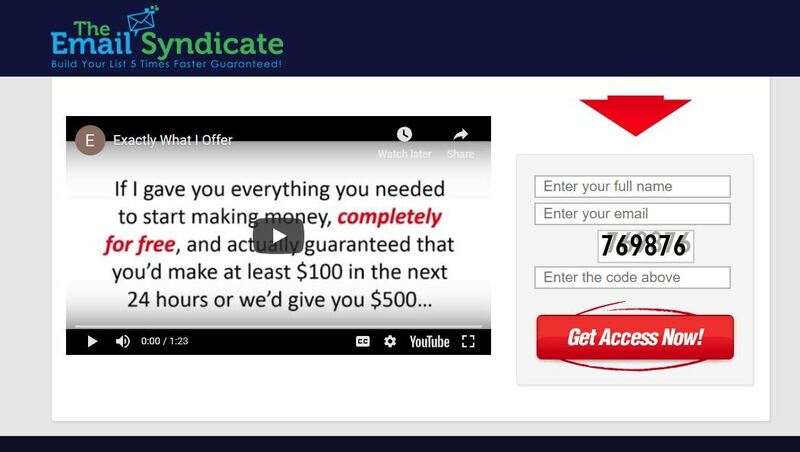 The Email Syndicate claims that you will not only get everything to start making money but also make money within the next hour. The video on the website claims that you will get everything for free. So, what will you get exactly? Well, you will supposedly get a complete email system preloaded with subscribers. According to the website, all you have to do is send emails by pressing a few buttons every day to make money. 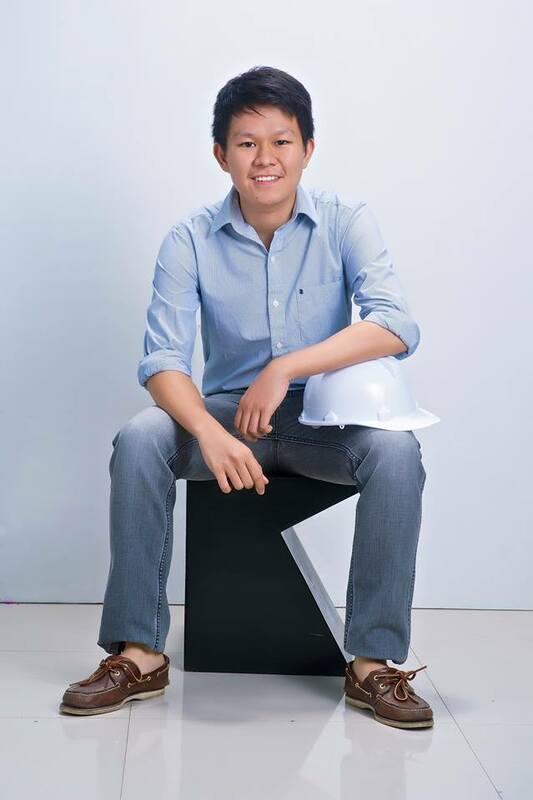 Basically, they have done all the work for you, and you are getting a chance to earn easy money. The owner or the creator of this system is not mentioned in the short video on their website. This is not a good sign, and I will discuss more about it later in the review. In this The Email Syndicate review, I will take a look at this system and try to determine whether this is a scam or not. How Does The Email Syndicate Work? Let us first see how the opportunity is sold to you before we take a look at how it really works. 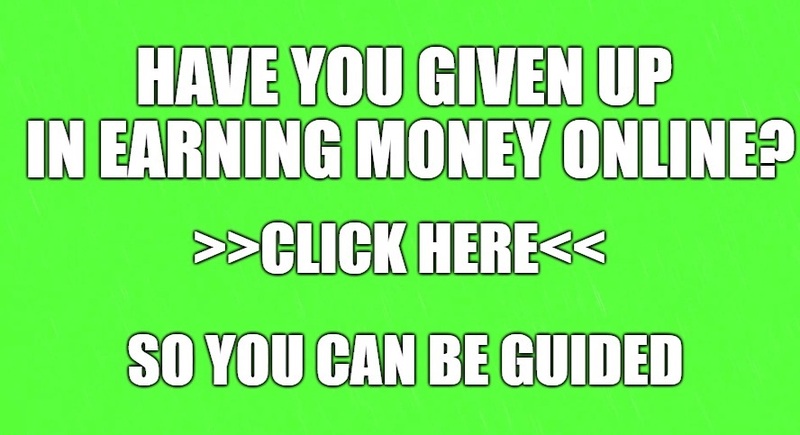 The video claims in the very beginning that you will make $100 in the next 24 hours, or they will give you $500. The video continues and tells you that you will get a complete email system. You are also told that you will get everything for free. You will get the emails that you have to send, and the email list will also be provided to you. So, you will literally have to click a few buttons to earn money if the video is accurate. The problem is that the video is not accurate at all. Let me tell you what you will get after you enter your details. You will be greeted with a video that will try to explain how this works. The video claims that they have a really big list, so it takes a lot of time for them to email the people on their email list. The solution that they have come up with is to partner with people like you, who will send the emails for them. You will get paid when someone clicks on the link in the email even if they don’t make a purchase. So, you will earn every day through sending emails to their big email list. 500 more people will be added to your email list weekly when you send the emails regularly. You are paid 20 cents per click. You are also paid 50% of the earnings of your referrals. 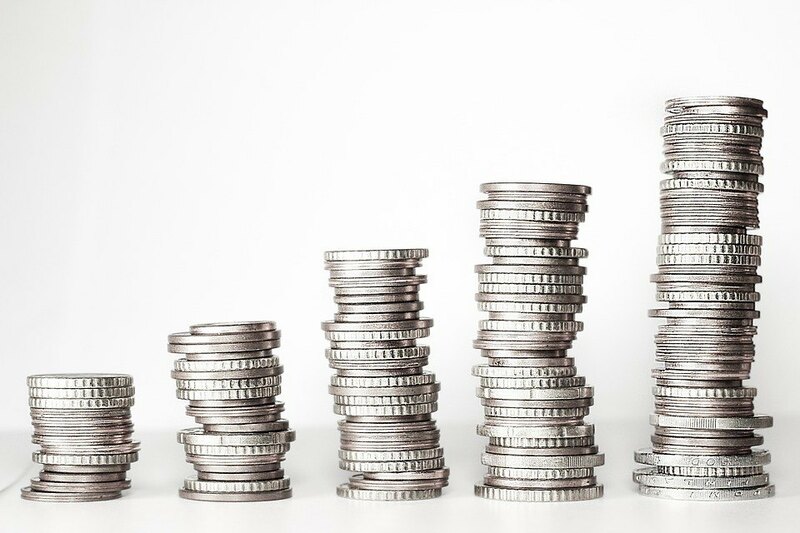 After watching the video, you are given a few steps that you have to follow to start earning money. ​The first step will just give you an overview of how you will make money every day. The second step will ask you to sign up for an email autoresponder and an affiliate network. The affiliate network is free, but the email autoresponder will cost you money. The third step will ask you to upgrade and get 1000 new subscribers added to your list each and every week. The fourth step will allow you to send emails to the list by using one of their pre-written emails. The fifth step will encourage you to get referrals to earn more money. The sixth step will again recommend that you buy the sending account for MyInboxPro (email autoresponder) to double your commissions. I haven’t gone into much details because this is a scam. There are a lot of signs that tell me that this is a scam. The owners are nowhere to be found. They make income claims that are not realistic at all. 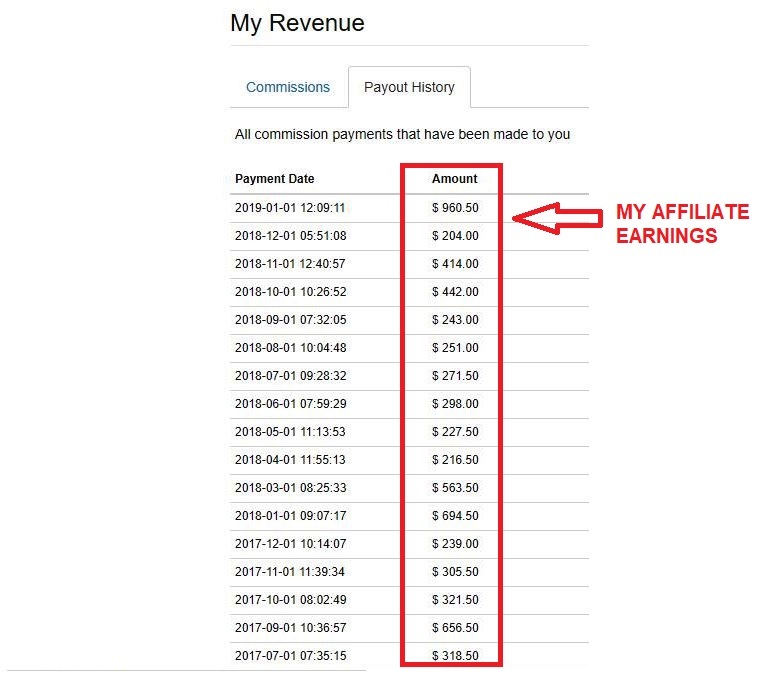 They claim that you will make $100 in the next 24 hours, or you will get $500, which is a lie. They have given no proof that such a big email list exists. You are just supposed to believe them. First, they claim that the system is free, then they ask you to pay for an autoresponder. They seem to be making money when people sign up for the email autoresponder. This email autoresponder has already been connected with various scams. They are obviously making money through other ways even though they claim that this is free. They may ask you to pay money for more services after you follow the steps so be careful. If you want to join in The Email Syndicate, it is free to make an account, but you will not earn anything just by making an account. ​ You have to buy an autoresponder and follow the steps to earn money. The basic plan of the autoresponder will cost you $27.20 per month. 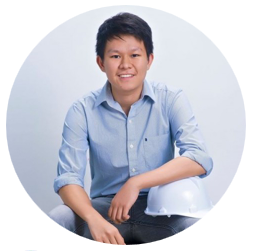 I seriously doubt that you will earn much. You might just end up wasting your hard-earned money. I don’t think that you will earn much through this scam. They have provided no proof that such a big email list exists. Even if they have an email list, it could just be filled with people whose emails were collected through unethical means. They have already lied to you, so they could just use you to spam people with offers that are not relevant to them. Even their website mentions that the typical purchaser doesn’t make any money through this system. You are not guaranteed any income or success. They guarantee earnings in the video, but the disclaimer cannot be ignored. The disclaimer is supposed to cover them legally. This shows that they are experienced at scamming people. Even if you get clicks, there is still no guarantee that they will pay you. They might not pay you and keep all of the money for themselves. After all, they are a scam, and they don’t care whether you make any money or not. In short, you have a very low chance of earning any money from this scam. You can surely spend a lot of money by taking upgrades and paying for services that they recommend to you. I am convinced that The Email Syndicate is a scam! Stay away from these scammers. The Email Syndicate is a scam in my opinion. There are plenty of complaints about people not getting paid. I would never recommend that you participate in a scam even if you can make money from it. The monthly fee was still deducted even after cancelling the trial in some cases. So, this is yet another reason to stay away from this scam. It seems like you want to invest in The Email Syndicate because you want to have an alternative source of income. It also feels like you are already sick and tired of not earning that much from your current job. But let me tell you that this type of business is a scheme that you should not spend your time and effort. It may seem that it is lucrative but based on complaints, it is a scam. There are plenty of the same online platforms so you should be careful on what you invest on. If you have more questions and concerns about The Email Syndicate, feel free to comment it below and I would be glad to interact with you.